NOTHING’S WHAT IT SEEMS IN THIS SLYLY SINISTER COLLECTION OF DAMES DONE WRONG…AND DOING THE SAME! 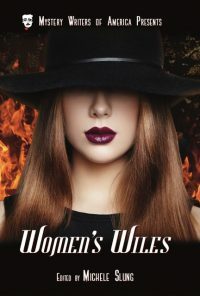 Shocking surprises, chilling comeuppances, and mercies that are anything but tender are just part of what to expect from these memorable stories of women’s wills…and wiles. Choosing them with an eye to the dangers ever lurking in our everyday lives, acclaimed editor Michele Slung very clearly wants to play with her readers’ comfort levels—and succeeds. Among the nineteen tempting treasures she’s come up with are stories by four Mystery Writers of America Grand Masters: be prepared to be unsettled by the twists of Edward D. Hoch’s tale of burglary-turned-romance; the haunting neighbors dreamed up by Margaret Millar; Stanley Ellin’s unreliably recognized intruder; and the plight of Dorothy Salisbury Davis’s sensible housekeeper suddenly stricken with a sleuth’s awareness. Yet those are hardly all…there’s suspense for every taste with each and every compelling page-turner you’ll discover here. 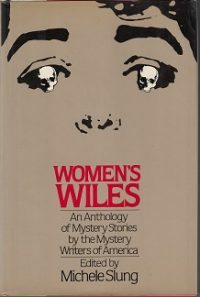 Contributors to this collection are: Joyce Harrington, Edward D. Hoch, Frank Sisk, James Yaffe, Lawrence Treat, Dorothy A. Collins, Morris Hershman, Susan Dunlap,Stanley Ellin, Dorothy Salisbury Davis, Josh Pachter, Stanley Cohen, Richard Deming, Margaret Millar, Kathleen Hershey, Richard A. Moore, L. Fred Ayvazian, Joan Richter, Cornell Woolrich and the introduction by Michele Slung. Available as an e-book from all of your favorite e-reader sites. Buy the book here. Sign up for the MWA Presents: Classics newsletter to be notified when the next anthology re-release is planned.